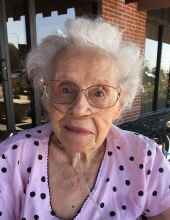 Hastings resident Gertrude E. Franzen, 97, passed away Friday, February 1, 2019, at her home. Funeral service is 11:00 am, Wednesday, February 13, 2019, at the Lutheran Church of the Good Shepherd in Hastings, Nebraska with Pastor Steven Peeler officiating. Viewing will be 1 hour prior to the service at the church. DeWitt Funeral Home and Cremation Service is handling arrangements. Gertrude was born on August 11, 1921, in Minneapolis, Minnesota, the oldest child of Conrad and Ruth Ellen (Bracken) Larson. She graduated from South High School in 1939 and attended Augsburg College in Minneapolis, Minnesota where she met her future husband Howard B. Franzen. When both her parents died at a young age, Gertrude assumed guardianship of her younger brother and sisters, and after her marriage to Howard on December 26, 1941, they became a new family. Following Howard’s ordination, he entered the ministry in Duluth, Minneapolis, and then was guided into a new ministry when he became a military chaplain. Gert traveled with him to the many places he was called in his ministry to as far away as Japan. In 1958, the family moved to Hastings where she and Howard enjoyed being part of Great Books club, a music lovers club, an eclectic social club, Abracadabra, and a long-running Bible study group. Gertrude was also the oldest member of the American Literature Club at the time of her passing. She was an expert and prolific needlewoman, an avid reader, collector of china, a dollhouse and miniature builder and had a great love of travel. She took up a career later in life as the Accessions Registrar at the Hastings Museum, where she enjoyed her love of history and antiques. Gertrude is survived by her children, Gail Franzen of Hastings, NE, Eric (Naomi) Franzen of Weston, MO, Mark Franzen, Anne (Stu) Wheeler all of Hastings, NE, and Mary (John) Costello of Omaha, NE; ten grandchildren, Wendy, Bennett, Candice, Olivia, Kathryn, Will, Emily, Ethan, Drew, and Chase; eight great-grandchildren; sister, Doris Walen; along with numerous nieces and nephews. She was preceded in death by her parents; husband; son, John Franzen; grandson, Evan Wheeler; brother, Conrad Larson; sister, Marilyn Goodman. To send flowers or a remembrance gift to the family of Gertrude E Franzen, please visit our Tribute Store. "Email Address" would like to share the life celebration of Gertrude E Franzen. Click on the "link" to go to share a favorite memory or leave a condolence message for the family.